AASHE STARS Reports are heading your way! We’re collecting data from FY17-18 for our latest report. Faculty and staff, brace yourselves! Your input is critical to help UD get the best possible score in the most important Higher Education Sustainability Ranking in the world. Search “Sustainability” on Handshake today for (un)paid opportunities – many qualify for class credit! UD ranks 125th in RecycleMania competition! Request a recycling primer from the Waste & Recycling Interns! We have all the games, presentations, and resources you need. We will come to you and answer all the questions: Does UD Recycle? What to do with pizza boxes? Where do our recyclables go? Every semester. Every break. Get course credit, or maybe even the $$. Search for “sustainability” on Handshake. 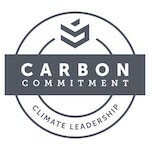 Steps towards a carbon neutral future. Eat mostly plants to save the planet and improve your health. It’s the #1 way to reduce your environmental footprint. Take your chargers with you to save energy and rejuice on the run. Do one kind action today for a stranger. Close curtains during summer days and winter nights to save energy. BYO shopping bags to reduce one of the most destructive forms of litter and ocean pollution. Do something new, explore, challenge yourself. Your comfort zone is a horizon that never expands. Ask the questions, get the answers. Here we capture the most common questions students ask the Sustainability Manager. reduce our green house gas emissions by 20% by 2020.